Ahh, let me tell you all about the most random night and how I decided to go vegan overnight. So, anyone else finally get some down time at the end of the night, pull up Netflix and spend about two hours trying to decide what to watch? In Canada we have like 1/3 of the awesomeness you have in the US so it can get pretty bad sometimes. Tim and I sat down, we were trying to find something to watch and after about an hour just randomly clicked on “Food Inc.”. I have always been interested in health and our environment but I was not intentional about the way I lived back then the way I am now. I knew we both loved a good documentary and that is when my eyes were open wider than they have ever been. We sat down, spent however long the documentary is in absolute shock this was the reality of the food industry. Of course we both naively thought this was not how things operated in Canada and that is where my life forever changed. I did one google search and saw all the horrifying things happening right in our own backyard. I will never un see what we saw that night. I want to preface this post by saying that I am not going to try and persuade you into the vegan life at all, I’m here to simply share my experience and choices and why I have made them. I do not judge you for how you live your life and I never want to give off the impression that I would ever feel that way. I am passionate about sharing the way we eat because I know if humans are welcomed to the idea of being vegan the more change can occur. I am also aware that not all farmers/dairy farmers treat their animals like this and I 100% believe that. As my own personal decision however, I choose not to eat animals because I understand I do not need to eat them to survive (and thrive) and I do not believe in the killing of animals for any reason. The more I began educating my self the more I was in shock of all the things. How they treat tiny baby chicks and pigs and things that serve them little to no purpose. The way the diary industry works. Surprised that human beings believe milk cows are born as milk cows. I won’t go into the details here but milk cows are actually cows that have just had babies and are able to breastfeed… just like humans. Except humans are the only mammals that drink another mammals milk other than their own mothers (or species ie. donor milk). The more we became educated on the industries and the topics the more I wanted to change the way I lived. 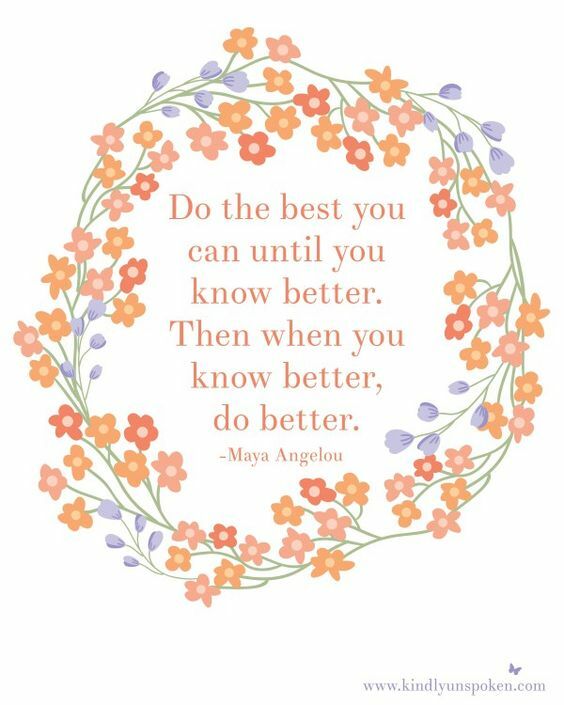 I wanted to constantly do better and learn more so I could make educated decisions about what I was putting into my body. Back when I first went vegan it wasn’t as easy to get everything vegan like there is today so I think thats a huge movement for the vegan population. I think the most asked question I ever get is (other than where do you get your protein) is what made you go vegan? This is why you guys. A simple documentary from the comfort of my couch in my living room. My heart couldn’t stop researching and learning and wanting to save them all. Now I would personally never have a day where I just forgot about my vegan life and eat whatever I wanted but I wouldn’t judge you if you decided that is what you wanted to do. Most vegans wouldn’t agree but I feel if you want to be “more” vegan than you were yesterday, come on over. These small changes will make a huge difference to the industries supporting the plant based movements and will continue to create and produce alternatives to what our society has been accustomed to. Solid no. I used to not really pay much attention but then I watched some videos and how it’s made I’m so aware now. So so so aware. In Thailand on packages of candy it actually said, “Boiled beef bones..etc”. Do you support companies that aren’t vegan? Ok again, most vegans might not agree with me on this one but the answer is yes. I want every single company in the world to make more vegan options. For two reasons. 1. Increase in demand means increase in production which ultimately means less people are eating animals/using animals. 2. I shop at superstore–not a vegan store. I support so many things day in and day out that are not vegan entirely so it doesn’t seem to make sense to be overly stressed and negative about it. I make a conscious effort to be sure everything I am eating and purchasing for myself is vegan/animal friendly. Are you worried your kids will be healthy? Doesn’t every mom worry for their children’s health? I believe in order to raise healthy vegan kids you need to be intentional about their diet but I also believe the same for non vegan children too. Our doctor is a huge supporter in how we raise our babes and he is completely not vegan himself. Living a vegan life IS actually really healthy and helps aid in the prevention of so many of today’s most common health issues (diabetes, heart disease, obesity..etc). I still eat vegan when I travel and I have to say the hardest thing has only ever been coffee! Sometimes places won’t have a diary alternative and I honestly live for a creamy cup of coffee but I’ll just settle for black. I don’t turn on and off depending where I am because for me this is a belief. I think Paris was honestly one of the only places I really ever struggled with this and it’s getting easier and easier and we have travelled a lot. A lot of countries actually have religious fasts that prevent them from eating animal products or they are vegan by religion which makes it way easier for us vegans. Peta has made a little card you can get for free to offer people when they ask. Honestly, I can’t even tell you how many times I have been asked this. To answer properly, lentils, legumes, rice, beans, fruits, nuts, quinoa, buckwheat, tofu, soy etc. There are so many rich protein options for the non meat eaters and some are complete proteins too (quinoa and soy). I think that is just my personality :). Come find us on @thekindestplate and see all the amazing things we eat. Do your families support your lifestyle? Yes!! They are amazing. Even extended. They always accommodate us and ensure we have so many things to eat whether we are travelling there, celebrating a holiday or just going for a dinner. It is amazing how much people love to explore vegan options and you’d be surprised how willing they might be. If you had chickens in your back yard would you eat their eggs? I can completely understand the psychology around it not harming the animal and I’m so for that over the egg industry but now I just associate it with something that came out of other living being and I’m just not really for that personally. So my answer is no, I personally would not eat those eggs. Is it hard being vegan? I think it’s as easy as you make it. For my self it was an emotional decision and I think this made it an easy transition for myself. I create delicious, whole healthy meals that are simple and easy to create. I choose not to stress on trying to convince everyone else to be vegan though I do believe in educating when appropriate and standing up for what I believe in. I think if we all approached this lifestyle with a little more grace we can better educate others who are willing to make changes and strive towards a less meaty world. I am passionate about this life and it does hurt my heart to think about how fur is collected, how cows are killed and the diary industry but I don’t think others need to be made to feel bad about their choices. I do think it has been a calling of mine to empower others to want to explore the plant based life though. I love this! I’m not yet vegan but I have been vegetarian for 2 years, and Netflix documentaries are also what made me switch. It wasn’t about the animals for me at first, but where it was coming from. After about a year it became about the animals for me. No more leather, it’s just selfish! Thank you for sharing this! My husband and I sat down one night and watched Forks over Knives and What the Health 2 years ago and it changed us forever. We are now both vegan and love it!